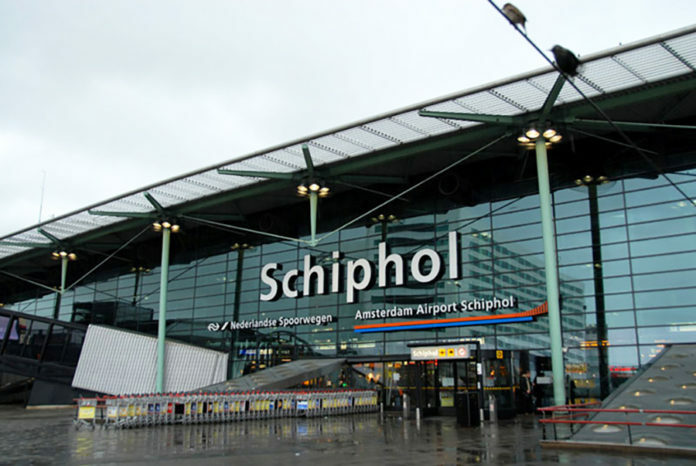 The Schiphol Amsterdam Airport (AMS) is one of the largest international airports in the world, covering 6,887 acres and carrying 68 million passengers to destinations all over the Earth! 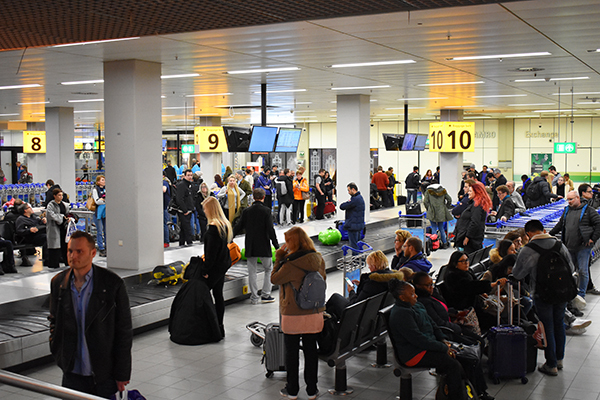 AMS has a great layout and doesn’t feel as humongous as say, Barcelona, where you have to take 10,000 escalators and a train to get to one departure gate. 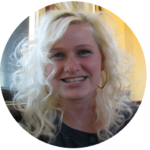 There are lots of pros to the AMS airport, but unfortunately just as many cons. 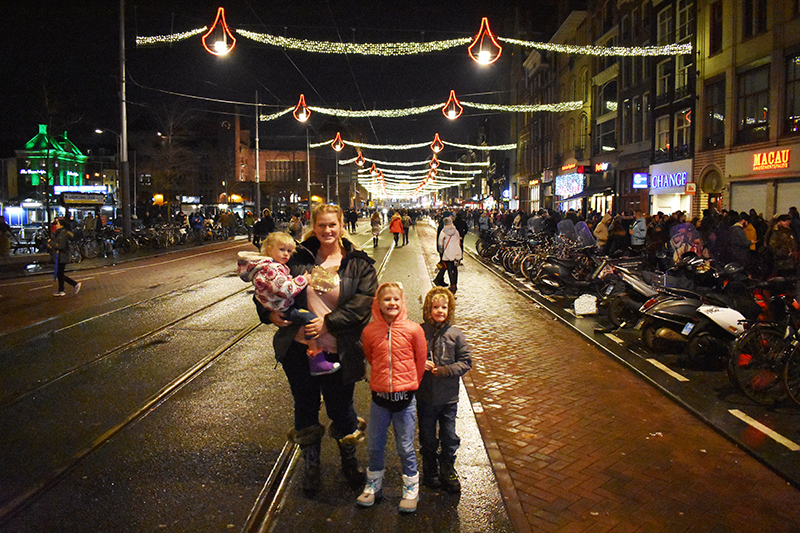 After ringing in a fantastical New Year at Dam Square until nearly 2am our family found ourselves in the Schiphol Amsterdam Airport outside of security on what they call the landside thinking we could rest until our flight departed nine hours later. It’s billed as one of the most comfortable airports with plenty of places to sleep, but the reality is all that is on the airside. Pros: Supposedly there are areas to sleep airside. Cons: There is no where to rest, let alone sleep. The best the landside has to offer is massage chairs that produce an unbearable noise if you sit in them without paying; a hard, and far too thin wooden bench at Starbucks, and temperatures that rival the middle of Antarctica. For our little family, we had a few roadblocks getting from the landside to the airside with our flight schedule. First were our bags. We couldn’t check them in until a few hours before our flight, and so we had to stow them. Second, we wanted to leave the airport to celebrate New Year’s in one of the most craziest cities on Earth, and security closes between midnight and 6am. Third were our bags. We couldn’t pick them up until 7am. We were basically stuck. 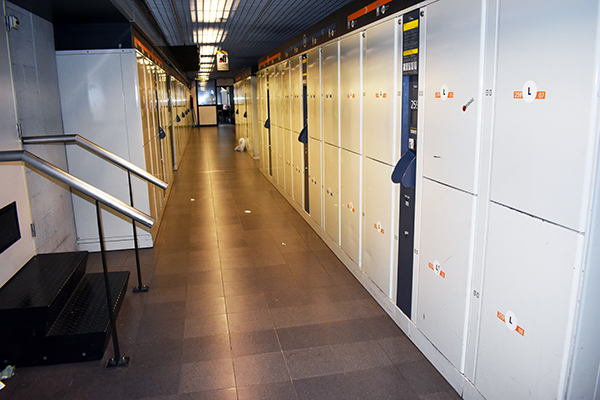 Pros: AMS offers a super cool baggage locker facility for great prices to stow bags for up to seven days. We purchased two lockers, at $5 a piece for 24 hours that fit all our family’s luggage: three large suitcases, two small carry-ons, a toddler car seat, two backpacks and my purse. Leaving all that baggage behind, enabled us to head into the city and experience a crazy New Year’s Eve celebration! Cons: We didn’t necessarily want to pick up our bags before 7am, which would burden us with one more thing to worry about until departure so we searched for a place that would fit our entire family for a somewhat comfortable rest. We found a few open seats in the shopping area of the landside down a long corridor. There was a closed Starbucks with a large seating area, where every load snorer thought they would take up residence. We also encountered a screaming banshee which turned out to be a wandering homeless person. And it was so cold we all had our huge winter jackets zipped and buttoned up with the hoods cinched up tight to protect our ears from the biting cold. It wasn’t long before we started counting down the minutes until we could pick up our bags. 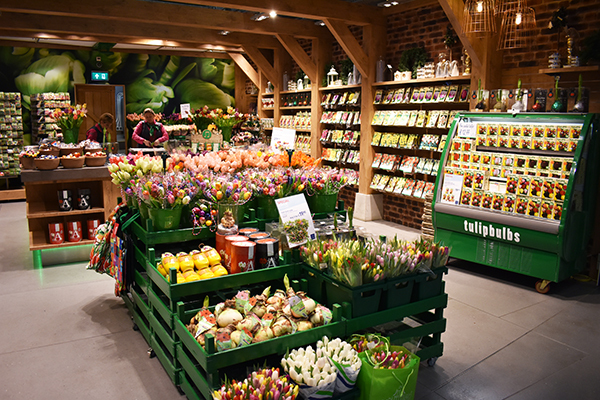 There is great signage and tons of places to shop at AMS. It’s a full service shopping plaza with eateries, food trucks, flower shops, clothing stores and more, plus the train drives directly through the airport. It’s just nothing is open in the middle of the night. Pros: Once we finally got our bags, checked them in, passed through security and found our gate we happened upon a great little fresh made kitchen that served up hot breakfast platters for under $10. They included bacon or sausage, breakfast potatoes, toast, and eggs cooked your way. It was a nice way to end the night and prepare for our long flight home. Cons: On the flip side, one of the things our family was really looking forward to having in Amsterdam were oliebollen pancakes. We never found them in the city, but after arriving at AMS, saw a food truck boasting this yummy confection. They never did open in time for us to try them, and we were severely disappointed. We never did find any of the comfortable sleeping areas the internet boasts about in AMS. The airside was far warmer than the landside, and we were eager to get on a flight home. 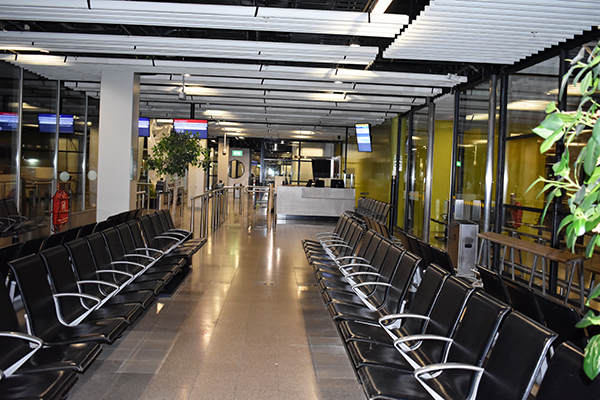 If you ever find yourself in AMS, avoid the landside overnight whenever and wherever possible. ► For Kids: As far as overnight options go, avoid this place like the plague. Of course, kids can sleep anywhere, and our kids had no problem, but it was freezing and everything was closed. Have you ever slept in an airport overnight? How was your experience? As for our family, we’ll never do it again, not until the next time. 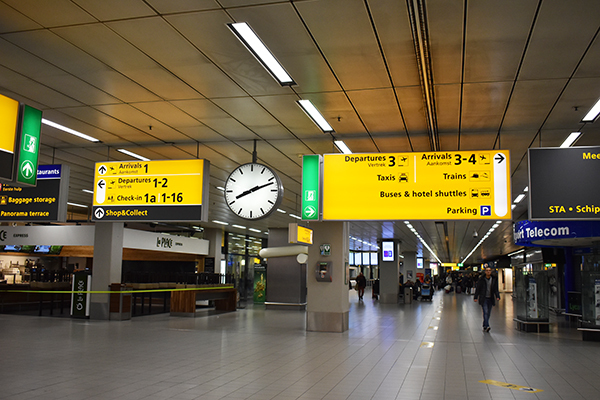 ► Nap-Time Version: The pros and cons of the Schiphol International Amsterdam Airport, AMS. This was our first New Year’s Eve celebration abroad, but we’ve spent two Christmases in Scandinavia. Once in Iceland, and once in Norway. We’re thinking next year it might be time for Germany!